The two Sea Islands off the coast of Georgia that we visited this week are a study in cultural contrasts. Both have important history and beautiful beaches. But Jekyll Island is a land of paved bike trails, golf-and-tennis clubs and mansions bearing names like Gould, Morgan, Pulitzer, Vanderbilt and Rockefeller. Sapelo Island forbids visitors from driving motorized vehicles, boasts but one paved road and is inhabited by just 42 full-time residents, descendants of the slaves brought to the island from West Africa in the 18th and 19th centuries. We started on Jekyll and took a leisurely four hours to bike around the island. Our favorite spot: Driftwood Beach, where ancient and picturesque monuments of driftwood dot the shoreline. After Driftwood, we pedaled through the campground at the northern tip of the island and to the Horton House, built by Major William Horton in the 1700s amid the French-Spanish-British struggles for control of the region. We learned about tabby, an unusual building material made from burning oyster shells to create lime to be mixed with sand and water – a coastal version of the adobe I grew up with in the Southwest. We pedaled past the Jekyll Island Airport, where the pilot of a small helicopter seemed to be practicing how to hover just above ground at just about 10-15 feet, and down Riverside Drive with historic “cottages” (aka mansions) built by some of the richest people of the 19th and early 20th centuries. The well-preserved houses are lovely and the manicured landscaping gorgeous. Gazing at the mansions and reading their descriptive plaques makes history so tangible, palpable. Imagine the stories those structures could tell…. The plaque by the Goodyear mansion told perhaps the best story, one I stopped to read in part because one of the very first city council meetings I covered as a young reporter in Phoenix some 38 years ago was in the then-tiny town of Goodyear, Arizona. It said that Frank Henry Goodyear started as a lowly bookkeeper and, in the quintessential American rags-to-riches story, ultimately became the head of a shipping and energy empire that allowed him to bequeath his heirs $10 million upon his death in 1907. The next day we visited Sapelo Island, and a starker contrast there couldn’t be. First, you can only reach the island by ferry (30 minutes from the marina in Darien) and you must have a permit to visit. Second, nearly all the island is owned today by the state of Georgia and has been set aside for non-development and environmental research. Third, nearly all of the 42 full-time residents are African-American, a few of whom still speak the centuries-old Gullah language, and none of whom – according to our guide, Ira Gene Grovner – want any part of the fast-paced, stress-filled life of the mainland and beyond. These residents live in the small and only privately owned hamlet on the island, Hog Hammock. The Gullah language dates to the 1600s, but is fading away as fewer and fewer young people today have any interest in learning it. Also, the number of locals who know enough of it to teach it has dwindled. In reading more about the language after our tour, I was reminded that U.S. Supreme Court Justice Clarence Thomas was raised as a Gullah speaker in coastal Georgia. When asked by a high school student why he has so little to say during hearings of the court, according to one article, Thomas said that the ridicule he received for his Gullah speech as a young man caused him to develop the habit of listening rather than speaking in public. Our guide is maybe in his late 50s and talks of his son, JR, and grandchildren, but his skin has nary a wrinkle and his complexion is as smooth as polished ironwood. He’s retired from the state Department of Natural Resources as a ferry boat captain and says he’s a ninth-generation descendant of the slaves Thomas Spalding brought over from Sierra Leone to operate his sugar plantation. Sapelo Island is 14 miles long and just three to four miles wide – about the size of Manhattan. We saw the ruins of slave houses, slave churches and slave-worked plantations. It’s a graphic and sobering reminder of one of the most shameful chapters in our country’s history. The yellow-green flowering plant along the 4WD road is still used to make a “life-everlasting” tea to relieve pain and break a fever. Children are taught to hunt at ages 7 or 8. Prey includes deer, wild hogs and gators. Sepalo Island has a stunning white-sand beach of its own. Spalding ultimately sold the island to Howard Coffin, whose widow sold it in 1934 to R.J. Reynolds Jr. (son of the tobacco magnate) when he was in his 20s. We visited the Reynolds house on the island – complete with what used to be an indoor swimming pool and a library of movie reels, as well as a “Circus Room” upstairs. Reynolds’ widow sold the house to the state of Georgia in the mid 1960s. It can sleep up to 29 and is available to rent for special meetings, weddings or parties starting at about $6,000. The list of top-echelon visitors over the years is impressive. Before we knew it, it was time to take the return ferry to Darien, where we would visit friends Fran and Brian (she formerly of The Dallas Morning News) and cook and consume together some outstanding, locally sourced jambalaya. What a fascinating way to learn American history. The four hours we spent on each of these islands has probably done more to enrich our understanding of U.S. history than any college-level course. Which makes me think: We should find a way as a society to teach history like this to young people of all economic means. History is so much more meaningful – and memorable – when you can touch and feel it. It becomes an almost spiritual experience. So glad that you visited Sapelo. We took our kids there in the 90s and learned so much about history and language. We doused ourselves in Skin So Soft to survive the no-see-ums and listened to a young woman from Sapelo who explained that alligators were responsible for the many three-legged dogs on the island. 😳 We hope you stop to visit us this summer when you make it to Sleeping Bear Dunes National Lakeshore. Thanks, Linda. Michigan here we come (in a few months)! Huffing and puffing I at last caught up with you, covering in four days of reading 19 trip logs what took the two of you two months by land. I particularly liked “The Challenges of Living Together in Tight Quarters.” Should you write a book, the bits on the differences of map orientation and when to wash dishes are keepers, I think. Still makes me chuckle. What prompted me to write at this moment was your trip to Sapelo Island and the Gullah language. Just north of Sapelo, in South Carolina, is another “Gullah island” called Daufuskie (not far from Beaufort and Hilton Head). It was there, not long after publication of “The Great Santini,” that author Pat Conroy, taught at an all-black school and did wonders with an illiterate group of kids. He wrote a book about his experience, “The Water is Wide,” in 1972. It was made into a movie in 2006 under the same title and starred Jeff Hephner. Continued good travels. Hey Walter, so great to hear from you! I’m glad you’re enjoying the blog. I’m having more fun even than I expected writing it and I especially love the feedback. Yes, the living together post is one my faves, too. I think I could almost write a book just on idiosyncrasies like those – there are so many! We biked all around Hilton Head on Sunday on the way to overnighting at Hunting Island State Park Beach – which only recently reopened after being hit hard first by Hurricanes Matthew and then Hurricane Irma – and we saw the Daufuskie Ferry! I didn’t know its significance or about “The Water is Wide.” I’d like to read that book…. I can’t tell you how much I’m enjoying your posts. The part of the country that you are leaving is one of my favorites. That being said, I’ve never been there in the middle of summer! All of the photographs add so much, but the best are those of the driftwood beach. Gorgeous! So glad you like the posts. I am enjoying writing them – and most of all the feedback! It was such a treat to have you and Georges as our guests on the GA coast. Cooking with George was a fascinating experience, especially when he lights things on fire! Totally agree that hitting the road is a great way to learn history! We RV’ed to the Georgia barrier islands last year and loved it. We think of you every time we see a Casita! After reading your enjoyable account of the Georgia sea islands, it’ll be interesting to hear what you think about the Myrtle Beach area. Thanks, Bob. It will be awhile before we get to Myrtle Beach. We are thinking of driving through Hilton Head one day next week and trying to overnight in the Estido Beach area. Is that a good idea? Can’t answer your question directly as I’ve never been to Estido Beach. Looking at their website though, it has the key words, “gently developed”. This would put it in direct opposition to Myrtle Beach. Carolyn and I are looking forward to seeing Georges and you when you visit the Pacific Northwest in September. Thanks, Chris. Glad you enjoy Postcards. Here’s hoping you join the Casita club! Sounds like you guys are having a great trip. My sister and her husband live close to Darien and Townsend and have for a number of years. Would love for you to meet them. One problem, they are heading to Texas tomorrow and will be here for a week or more. We have over the years been to most of the places you are visiting. Have fun. Thanks, Kirk. Great to hear from you. What fun and good to know! We are leaving Darien tomorrow, headed for Savannah for a couple of nights and then on to South Carolina…. Ever been to Hilton Head or Edisto Beach? Very interesting. There is so much history in that area. 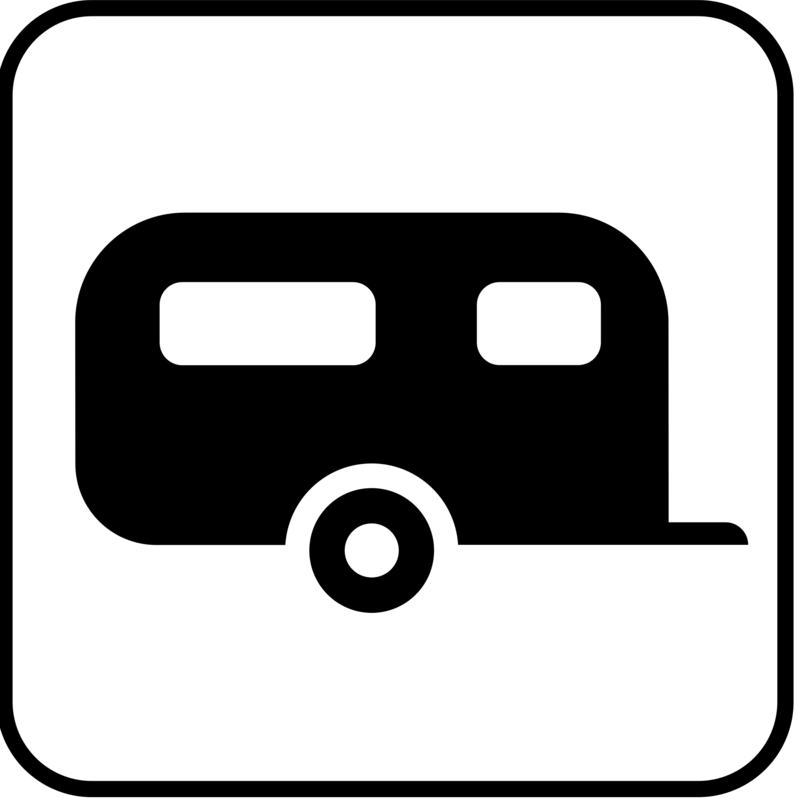 What campground are you at? Safe travels as you continue your trip! We loved both Fort Clinch and Crooked River, per your suggestions! Spent the day at the first (no overnight availabilities) and two nights at Crooked River. Right now we are parked in the backyard of friends’ three-acre lot just outside of Darien. We will head tomorrow for Savannah and see what adventure that holds. Just finished Midnight in the Garden of Good and Evil! Very interesting! I agree that this would be a much more effective way of teaching history than using dry books. One of the best history lessons we had was 5 days camping the Natchez Trace, another shameful part of our national history. Thanks, Al. Yes, let’s add that to the history-class itinerary.